On the Saterday of this years Musikfest Bremen, Metropole Orkest will perform together with two world acts. The first half, Jacob Collier will perform together with the orchestra. Metropole Orkest and the multi-talented Jacob Collier first met for the tribute to Quincy Jones ate the 2016 BBC Proms. Collier, a Quincy Jones protegee, made a great impression with a cover of ‘Human Nature’ and a beautifully orchestrated version of his own ‘In The Real Early Morning’. A year later he and Cory Henry shared the stage with Metropole Orkest once more at the North Sea Jazz Festival, where the idea to continue the successful collaboration was born. The second half, Bokanté & Metropole Orkest will meet each other. 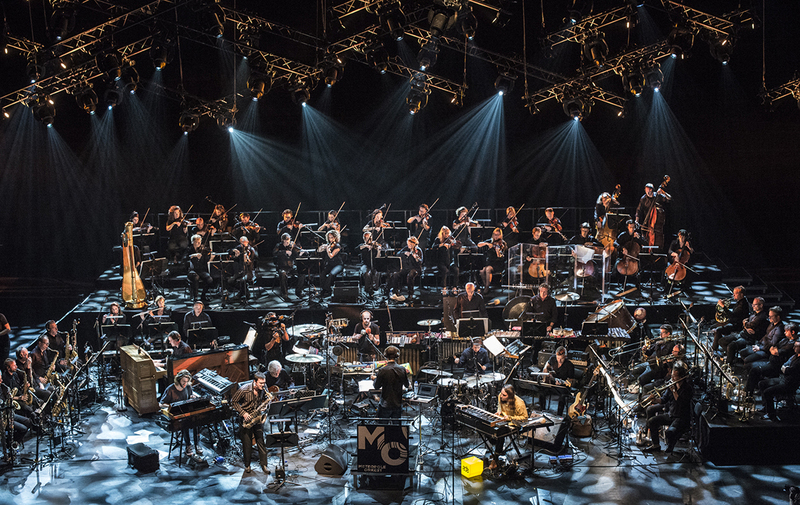 A unique and epic encounter between a new world music supergroup and the world’s leading pop & jazz orchestra conducted by Jules Buckley. Michael League – band leader of Bokanté – and Metropole Orkest first worked together on the Grammy Award winning ‘Sylva’. And while this collaboration is a whole different beast, fans of Snarky Puppy will not be disappointed. League’s writing style resonates throughout while singer Malika Tirolien sets the mood with her Creole/French lyrics. Couple that with the skills of six additional top musicians from four different continents and a supergroup is born.